Conniff Construction is a leading home improvements contractor and commercial remodeling company serving Toms River, Forked River, Brick, Jackson, Middletown, Manalapan and surrounding areas. We encourage you to look at our past projects and contact us to discuss any of your construction or remodeling needs.  Conniff Construction is a commercial remodeling company serving Holmdel, Colts Neck, Marlboro, Manalapan, Toms River, Brick, Jackson, Point Pleasant, Freehold, Millstone, Belmar, Manasquan, Manahawkin, Forked River, Lavallette, and surrounding NJ communities.